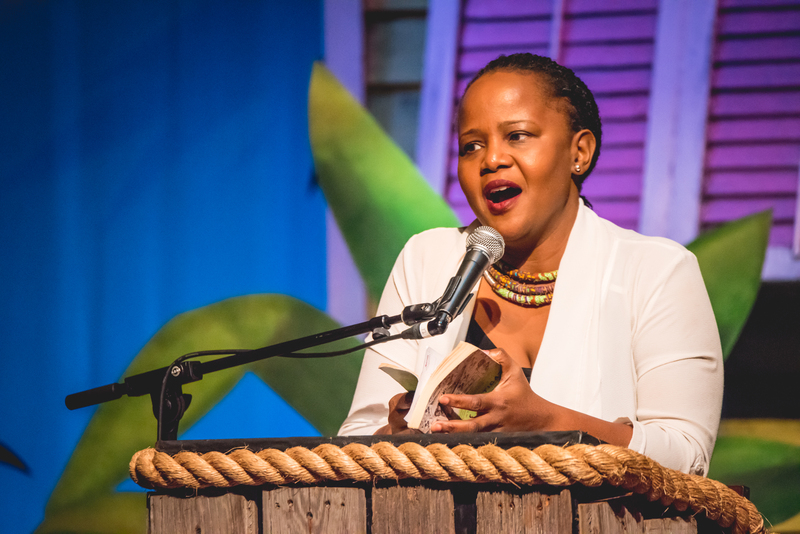 Edwidge Danticat spoke Sunday afternoon during the Key West Literary Seminar’s free and open to the public session thanks to the generous support of Peggy V. Helmerich and the Helmerich Trust. Haitian-born Danticat read from The Art of Death: Writing the Final Story, which was released in July 2017 as part of Graywolf Press’s Art Of series. These craft books focus on a singular topic tackled by an acclaimed writer, resulting in a hybrid work that’s part memoir, part craft lesson and part literary criticism. Danticat’s impetus to write about death came after her mother passed away when she aimed “to learn and re-learn” how to understand death. During her talk, she wove a rich tapestry of thematic reflections on space, identity, death and writing, reading three pieces from her book. She began with A Year and a Day, originally published in The New Yorker after the 2010 Haitian earthquake. Danticat reminded the audience of not only the 2017 hurricanes that ravaged the Caribbean, but other natural disasters that have also forced rebuilding and reclamation of space and identity. Her second piece, A New Sky, was a prayer written for the PEN literary conference in New York. Danticat spoke of the experience of writing a prayer for a secular conference and being asked to deliver it. She believes prayer is private because it “reflects our most vital desires.” Still, her belief that “writing is prayer” saw her through. She channeled her mother’s humor while in her hospital bed during her final days to create a prayer of quiet reverence and strong emotion. Finally, she read a piece reflecting on a question that friends asked her once her mother had passed: “Have you dreamt about her yet, or is she still traveling?” That dream came to her one year and a day after her mother’s death when she dreamt about her young mother in a pink coat and a favorite handbag. This was significant to Danticat because her mother used to make purses in a factory. Audrey Wick is a 2018 Key West Literary Seminar teacher scholarship winner and a full-time English professor at Blinn College in Texas. Her writing has appeared in college textbooks published by Cengage Learning and W. W. Norton, as well as in The Houston Chronicle, The Chicago Tribune, The Orlando Sentinel, and various literary journals. Her first women’s fiction novel, Finding True North will be released in April 2018 from Tule Publishing. Connect with her at audreywick.com and @WickWrites.